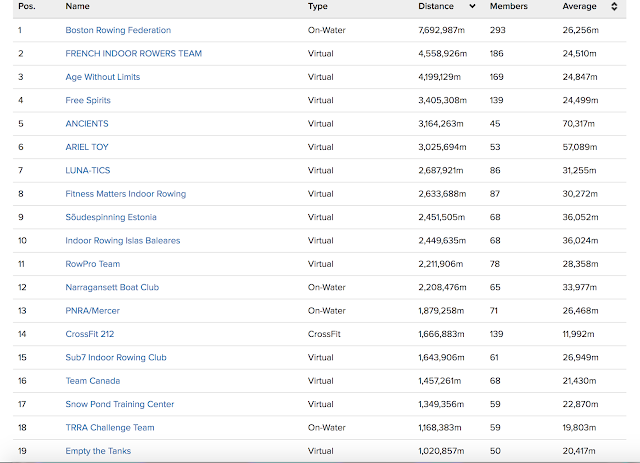 We have dropped down to 19th place on day six of the Virtual Team Challenge with the TRRA Challenge Team only 100k above us. Our usual team rivals Team Canada are residing in 16th place - let's see if we can catch up with them this weekend! 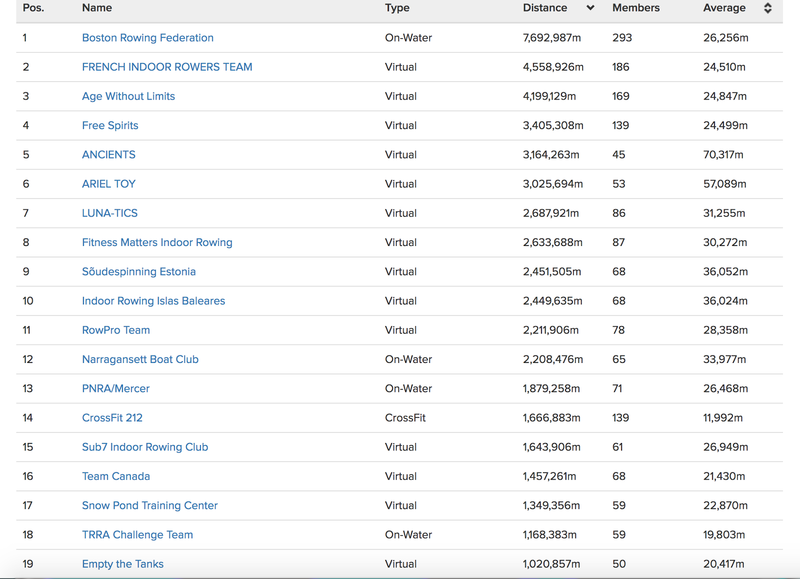 43 team mates have uploaded metres contributing to the one million mark we have achieved in the first six days of competition. Ken M has taken the top spot today with Bill S and David H hot on his heels! Please post on the blog or Facebook with encouragement, tales of endurance, PB's and the rest to make this as fun as possible. Every metre counts. Passed my 8M lifetime metres and on track for my goal of 2M this season. Looking to try for 200 k this VTC. Come on ETTers ! Awesome news Diggy. Congrats on the 8M lifetime metres! !